The LCN-LSA is a light sensor for applications outside the building. It can be used with all modules since version 120C05. The sensor detects a very wide range of light in five decades, from 1 to 100,000 Lux. LCN-LSA delects light in outdoor applications for control of interior and exterior lighting. So complex regulations are possible for lighting and shading scenarios. The LCN-LSA may be combined with other I-Port peripherals and can be used with all bus modules like LCN-UPP, -UPS, -UP24, -SH, SHS, -HU or -LD. The LCN-LSA can work on regulators or on thresholds. The measured values can be exchanged between modules and can be used for math calculations. 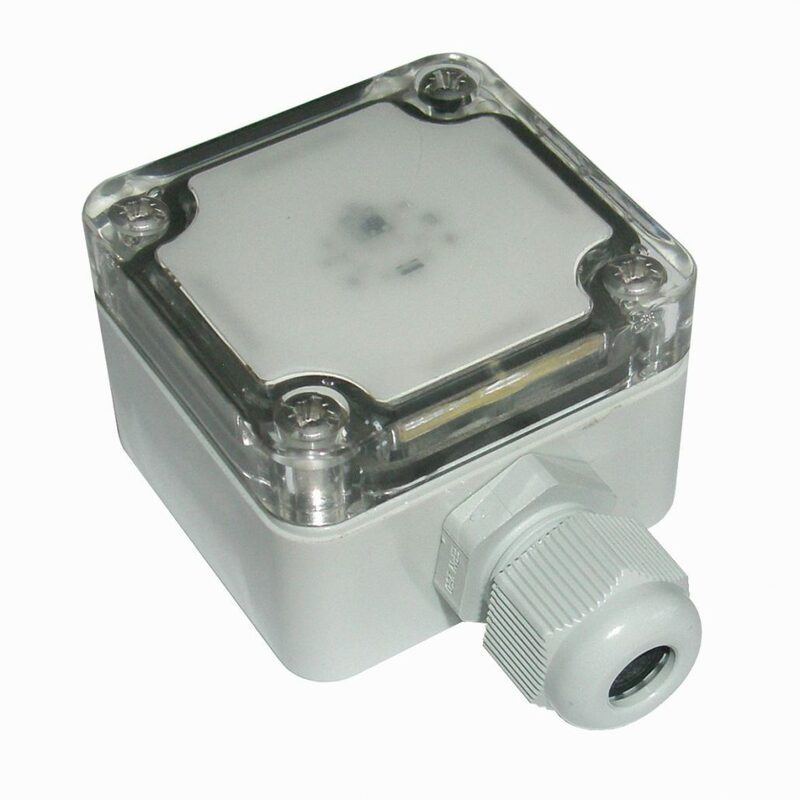 The IP65 housing of the sensor is weather-proof.